The second part of Siglent SDS1202X-E unboxing and review. Enjoy watching! 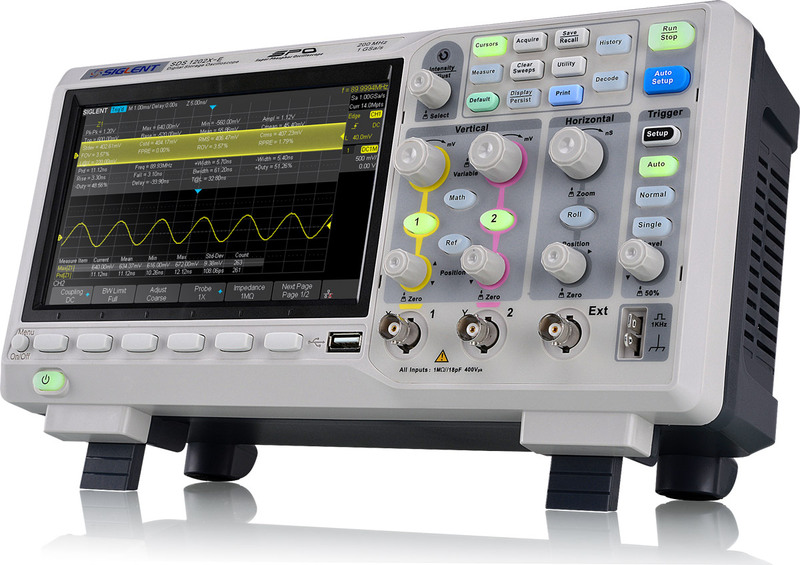 SIGLENT’s new SDS1000X-E Series Super Phosphor Oscilloscope is available in 200 MHz only. It has a maximum sample rate of 1 GSa/s and a standard record length of 14 Mpts. For ease-of-use, the most commonly used functions can be accessed with its user friendly front panel design. The first detailed review of the new Siglent SDS 1202X-E is finally available. Watch it here!